A couple of weeks ago, Julianne and I visited a new place called Salsarita’s Fresh Cantina that recently opened in Lexington. Always on the lookout for something yummy, fresh and healthy (hopefully), we dropped in and had a good meal. 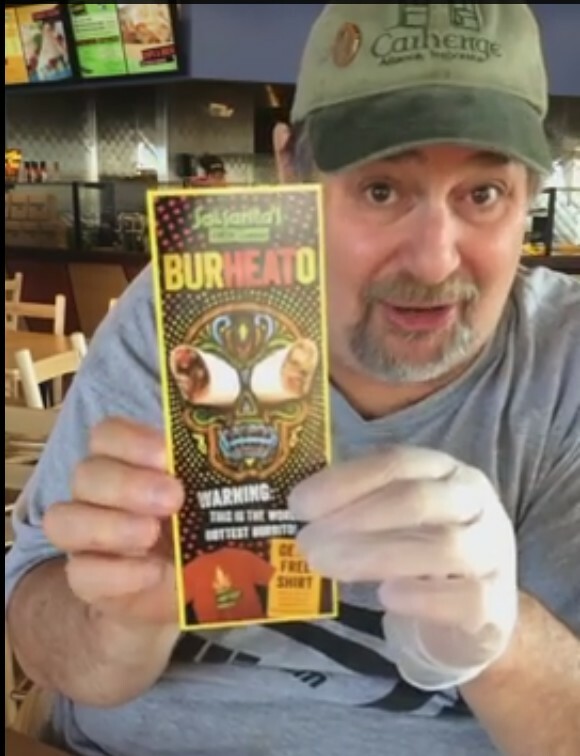 This guy is made with the Guinness World Record®’s Hottest Chile Pepper: Smokin’ Ed’s Carolina Reaper® in partnership with the PuckerButt Pepper Company from South Carolina. 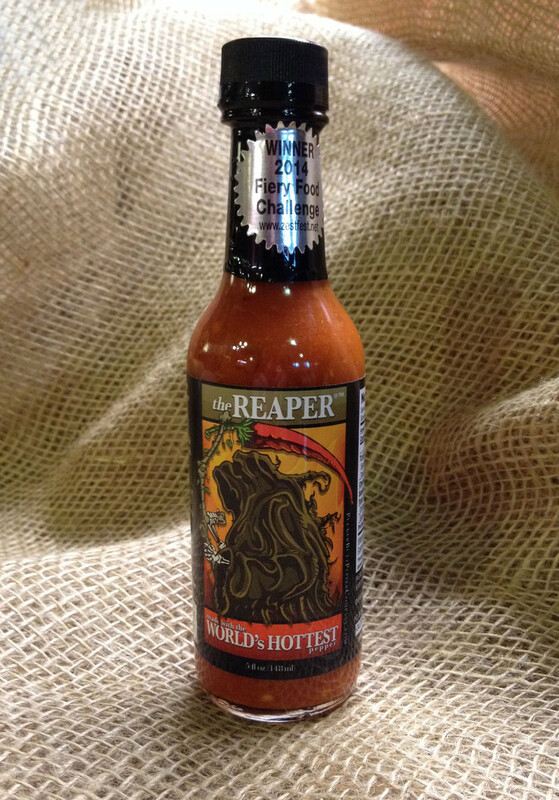 The Reaper Sauce is packed with the World’s Hottest Pepper, and just the right amount of all-natural spices. So, this evening we dropped by and I decided to try it out! 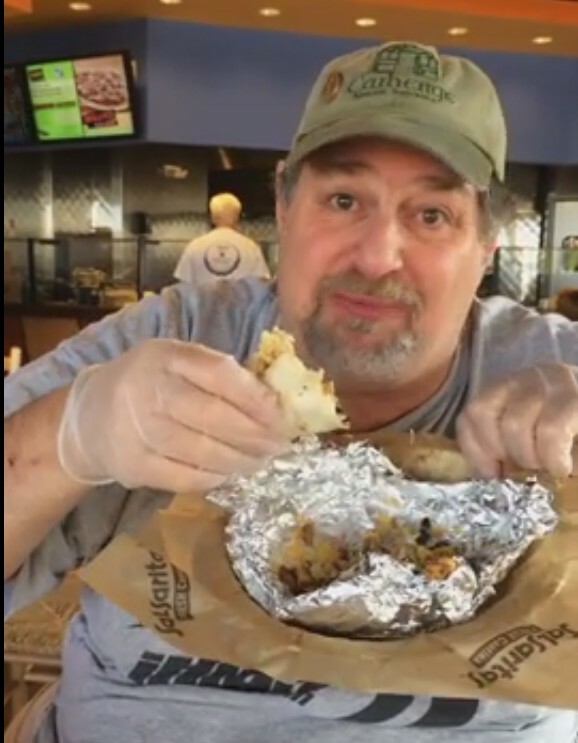 They have a deal, if you video yourself eating it, they will give you a t-shirt. So, here is my video, in two parts…and there was no cheating. I devoured it with happiness!! 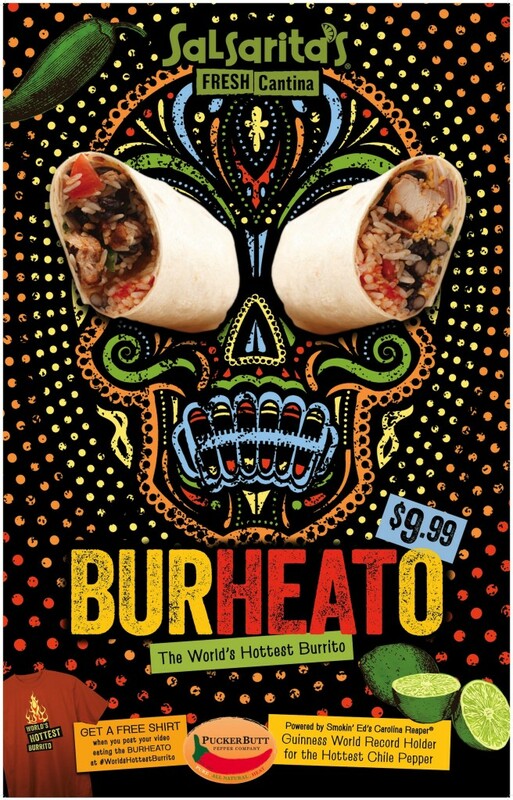 The BurHEATo™ is made with grilled chicken, black beans, rice, pueblo corn salsa, tomatoes, cilantro, and only one tablespoon of Smokin Ed’s Carolina Reaper® pepper sauce. It was filling and satisfying…and really could have been hotter…. And here is Part 2: Finishing it off without a tear! Now get me that t-shirt! !